Though not the most exciting vehicle, the Cadillac XT5 has quickly become the brand’s best-selling vehicle since launching in April 2016, in no small part thanks to the ongoing shift on consumer buying dynamics wherein car buyers are increasingly in crossovers over other vehicle types, such as sedans. The 2018 model year will represent the XT5’s second year on the market, for which it’s getting a few updates and new features. The color-related changes are rounded out by the Deep Amethyst Metallic becoming available with the Cirrus interior and Dark Titanium accents, which was introduced in March 2017. An welcome update for those living in climates with ice/snow is a new base trim level with all-wheel drive (trim 1SB / model 6NF26). 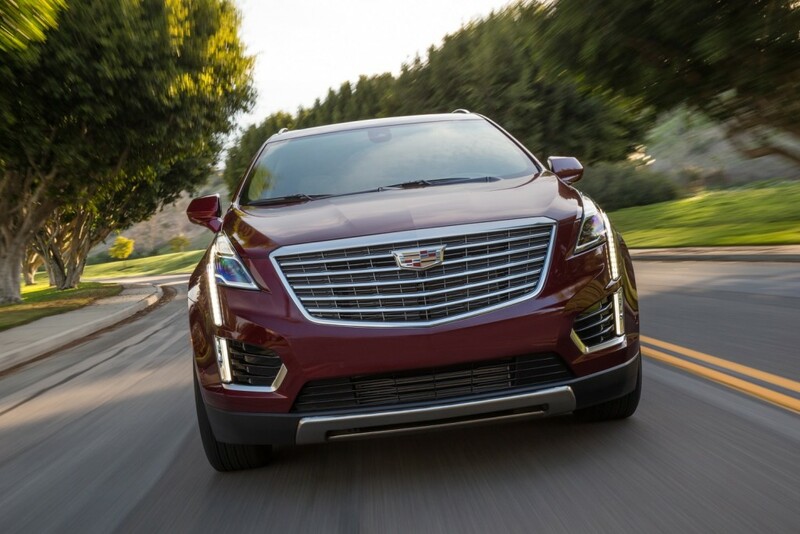 By comparison, the 2017 Cadillac XT5 only offered the base trim with front-wheel-drive. Inside, the 2018 Cadillac XT5 (curiously) does away with the driver-side thigh extension seat adjuster while adding the Rear Seat Reminder feature, which first debuted in the XT5’s platform mate — the 2017 GMC Acadia. In addition, the 2018 XT5 gains the automatic heated steering wheel, which automatically enables the heated steering wheel (along with the heated front seats) based on ambient air temperature. And finally, the RPO code for the Safety Alert Seat changes from UEU to HS1. I’m eagerly waiting to hear about plans for the 2018 Chevy Sonic. It’s had the same Engines since its introduction to The Americas in 2012! Hell, even the Chevy Spark has recieved a new engine since its Introduction. A 1.8/1.4 with 138HP? That’s a joke, especially 125/148lb/ ft of torque. I’m ALWAYS being surpassed on roads trying to save gas. It feels like when you do lower gears, and accelerate, the car chugs gas. Chevy for the love of god! (Yes, I know this article is about a Cadillac) GIVE us a STRONGER, EFFICIENT engine, that’s doesnt sound like its struggling up a hill. REDUCE THE ENGINE NOISE IN THE CABIN TOO. I get what you are saying and I don’t disagree. However, find a more appropriate place for your comments and complaining about NVH on a $20k car is laughable. I am expecting to read when Cadillac will offer a plug-in hybrid version of the Xt5 using the same technology of the CT6. Nice to know that AWD is available on the base model. Dumb move eliminating the thigh extender. All Cadillac’s should have this feature as std for the money they ask for. They want to be considered luxury and then go and start decontenting items out as the models year progress. They also should be putting a glove box light in every model along with an overhead storage for sunglasses. It’s hard to comprehend that there are still certain models that lack these things that are common place on a 20-30K Hyundai! I had a 2017…owned it less than 1 year due to poor interior build quality resulting in rattles and squeaks that could not be fixed. Hopefully the 2018 model resolves these issues.